Pipe dryer is also known as hot flue impulse type dryer or hot air dryer which features high drying efficiency. Ideal drying machine for biomass pellet plant or biomass briquette plant. 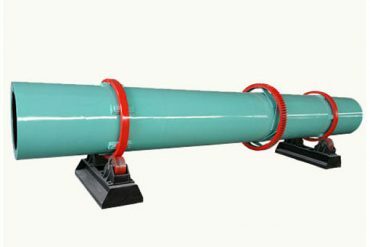 Pipe dryer is also known as hot flue impulse type dryer or hot air dryer which features high drying efficiency. It can reduce the moisture from 40-45% to 8-12% one time. Hot air pipe dryer is specially designed for power and small particle materials (less than 3mm diameter) drying and is the ideal drying equipment in charcoal briquette or wood pellet processing. 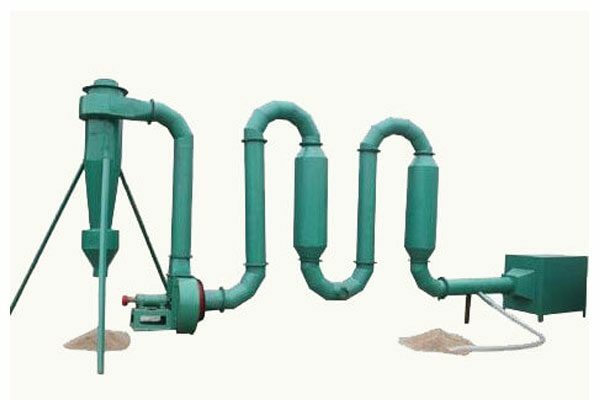 For those medium and midget plant which produce wood chips and sawdust to biofuel, pipe dryer is always the option. We have also offered rotary drum dryer for wood material drying process. ▷ High heating intensity. Due to the high hot air speed,wood materials disperse well in the air and the drying area increases a lot, thus guarantees sufficient drying. ▷ High drying speed. Wood material and the air contacting time is quite short and drying time is 0.5-5 seconds. 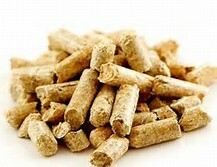 No harm to wood material pelleting. ▷ Good drying efficiency, wide application. ▷ Wide ranges of hot air source: oil burner, gas stove, hot air coal furnace and vapor heat exchanger. Wood material enters to hot air stove through pipes and sucked to cyclone by draught fan along with hot air. The whole drying process needs only 3-5 seconds. Then the dried wood materials release from cyclone while the waste air and vapor go out from the above exit. Here is the pipe dryer in 500KG/H Mobile Wood Pellet Plant.